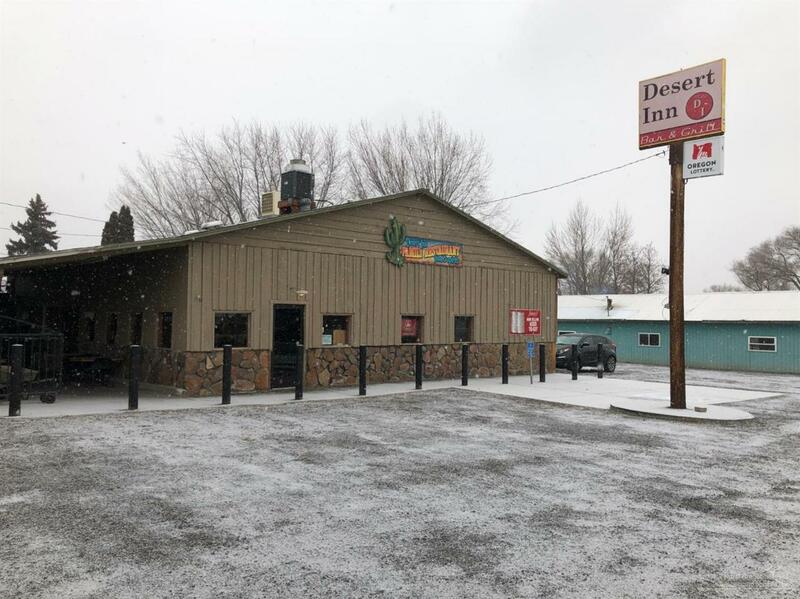 The Desert Inn is an oasis between Culver & Madras for locals & over 1.5 mil people who visit Lake Billy Chinook each year to fish & play. The property includes 0.57 acres which consists of 5 original tax lots. The bar and restaurant are 3,025 sf with an adjoining 1,100 sf covered patio which includes an outdoor cooking area. There are ample accessory storage buildings including an 8x16 walk-in cooler. An outside beer garden and dance area has direct views of Three Sisters, Mt Jefferson, and Three-Finger Jack and can be host to weddings and special events. All equipment and furniture is included in this turnkey business opportunity which also includes building and land. Revenue is generated from beer, wine, hard alcohol, food, and lottery sales.